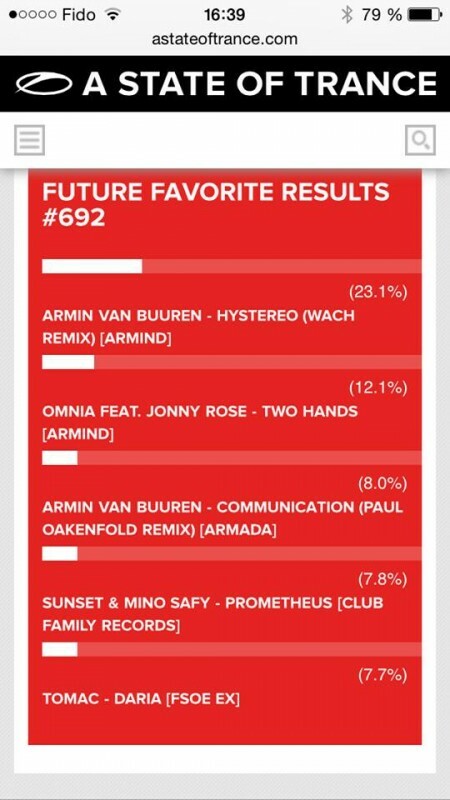 “Tomac-Daria” played by Armin van Buuren on ‪#‎ASOT692‬ last week made the TOP 5 of Future Favorite out of 30 tracks from the best producers in the world !!!! WOW!!! Simply amazing!!! Thanks so much for your vote everyone!!! !